Press Release (ePRNews.com) - SAN FRANCISCO - Dec 05, 2017 - Capital Access Group (www.capitalaccess.com), a San Francisco-based commercial real estate lender specializing in U.S. Small Business Administration 504 loans for growing businesses, recently helped Five Points Tire Imports, a 53-year-old, full-service automotive center locally owned and operated by Victor Khedr, to secure $2.5 million in total project financing to purchase two buildings located at 2103 El Camino Real and 10 Manzanita Street, Redwood City, California. The buildings, totaling 7,000 sq. ft. of commercial space, are situated on two contiguous parcels on one of the busiest intersections in Redwood City. 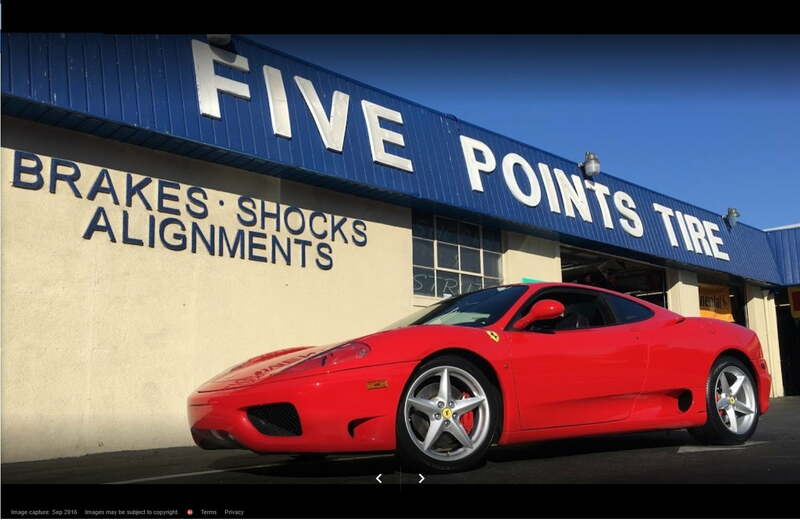 Five Points Tire Imports provides a wide range of general automotive repair services and tire sales, and it is known throughout the area for its high-quality service. Prior to purchasing Five Points Tire Imports, Khedr was the owner of another popular tire and auto service business, Ben’s Auto Tech. Khedr had a long-term, affordable lease at Ben’s Auto, but when he started having difficulty with his landlord, he decided to explore opportunities to relocate or buy a new business. In 2016, he discovered that Five Points Tire Imports was for sale and decided to buy the business and merge it with Ben’s Auto Tech. After a successful first year in business, Khedr approached his landlord about purchasing the property and taking full ownership of the business. Khedr worked with his tax consultant to explore different financing options, and the tax consultant told Khedr about the SBA 504 loan program. Soon, Khedr was introduced to Claudia Cohen at Capital Access Group. About Capital Access Group: Capital Access Group is a leading statewide Certified Development Company based in San Francisco, authorized by the U.S. Small Business Administration to provide long-term, fixed-rate financing through the SBA 504 loan program, which offers 90 percent financing to business owners for the purchase, renovation, or construction of commercial real estate for their growing businesses. Founded in 1981, Capital Access Group has helped thousands of entrepreneurs grow their businesses and realize their dreams of owning their own buildings. Currently, the SBA 504 interest rate is 4.52 percent, fully amortized and fixed for 20 years. For more information, please visit www.capitalaccess.com.